Imagine a school with three teachers, three classrooms...and 160 students! That was the original Ascension School, founded in 1897. Unfortunately, no pictures have been found of the original building. The first building pictured here replaced the original in the early 1900s, and the current structure was built in 1927. It housed 1,025 students. At its peak in 1940, the school graduated 120 students, but by 1990 the graduating class had dropped to only nine members. Today, Ascension School serves grades K-8 and has bounced back to an enrollment of about 300 students, serving many local residents of diverse backgrounds. It is a true neighborhood success story! 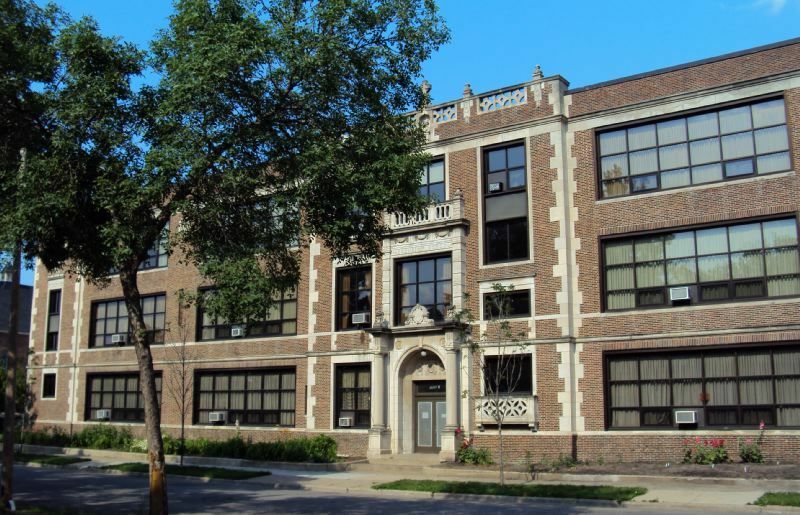 The school was designed by Charles A. Hausler, St. Paul's first City Architect who served from 1914 to 1923. 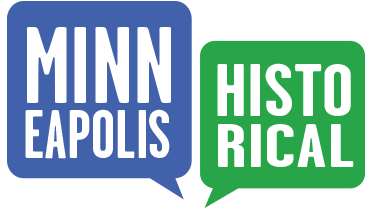 He designed many St. Paul schools, branch libraries, fire stations, and park buildings, and was elected to the State Senate in 1922. The brick exterior of this three-story symmetrical English Renaissance structure calls to mind the feel of East coast colleges and private academies. The light-colored masonry blocks at the corners are known as quoins. They provide an accent to the red brickwork, and create an impression of a strong, castle-like presence. 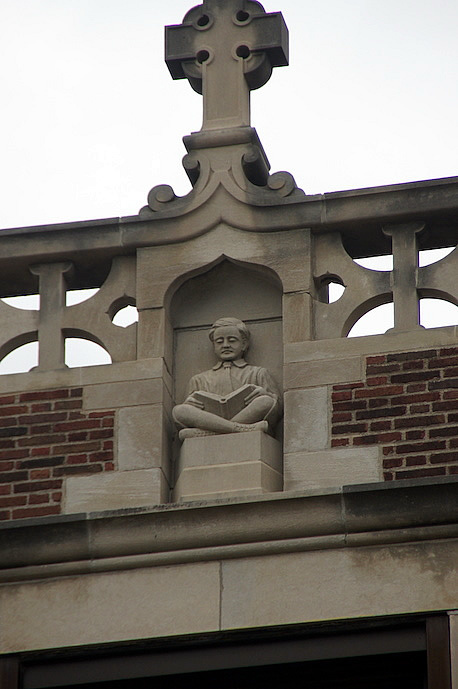 They complement the building's other unique stone ornamentation, which includes such symbols of learning and wisdom as an owl above the main door; a boy with an open book at the center top of the building; an inkwell and scroll on one side of the front door, and a lamp on the other side. The central bay's arched entryway is flanked by one-story Doric columns. Note that the ledge resting on the columns holds urn-like statutes and a shield. The window surround on the second story (above the columns) is composed of banded pilasters with the words “Ascension School.” Above this window surround is a balcony; observe the roof-line balustrade above the central bay. The north and south bays have refined detailing, with window surrounds around second-floor windows, and a shield as part of the parapet. 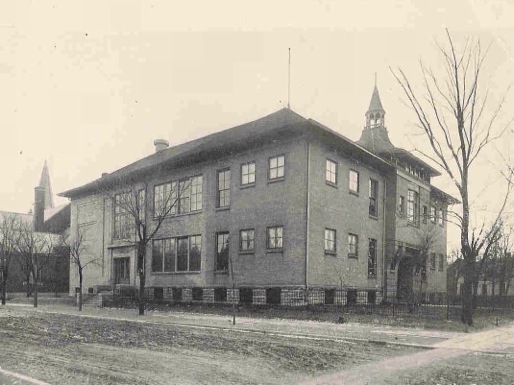 Old Highland Neighborhood Association, “1726 Dupont Avenue North: Ascension School,” Minneapolis Historical, accessed April 22, 2019, http://minneapolishistorical.org/items/show/9.